The Mercedes-Benz E-Class Cabriolet is a dream car for dreamers. It provides style, comfort, power, and performance all in one package. It has a drag coefficient of about 0.29 which lets the E-Class Cabriolet cut through friction caused by the wind like a hot knife through butter. The hot design commands attention, and the convertible top only adds to the appeal you will exude in one of these babies. Under the hood of the E 400 Cabriolet you’ll find a punch-packing 329 horsepower 3.0L biturbo V6 that will yield 20 mpg in the city and 29 on the highway. The bi-turbo V6 combines twin turbos and other advances to lower emissions and fuel consumption while increasing performance. It only takes a millisecond for the multispark ignition to fire up to four times, during which the fuel is distributed with precision to the high-pressure direct injection. You’re looking at a convertible because you plan to spend a fair amount of time with the top down. Thanks to the exclusive E-Class Cabriolet innovation AIRCAP®, the wind gets blocked from ruining your experience. A speed-sensitive airfold rises from the windshield while a see through mesh screen between the rear head restraints helps keep your drive quiet and draft free when the top is down, even at highway speeds. Your safety shouldn’t be on your mind while enjoying your drive in this beauty, and with the E-Class Cabriolet it won’t be. Neck-Pro front head restraints move forward and upward in the event of a rear impact, reducing the distance between your head and the head restraints. This helps reduce the chance of whiplash-type neck injuries in the event that you get rear ended. Even without a fixed roof, the Cabriolet provides strength you would expect from a Mercedes-Benz. With a reinforced windshield frame, floor cross members, door beams and more through the body, you can drive with confidence in your vehicle’s structure. Are you ready to see what a Cabriolet will offer you? 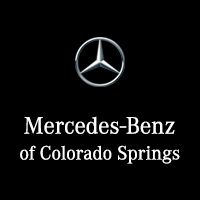 Visit us today or contact us to schedule a test drive today!